LeBron James finally secured a championship with the Cleveland Cavaliers Sunday night, delivering on his promise to bring home a title to Cleveland. 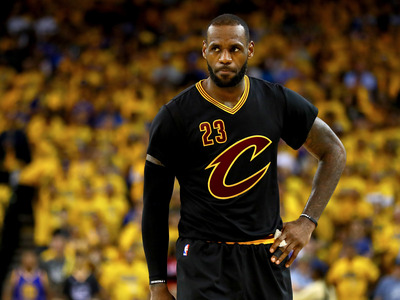 And while James surely didn’t need any extra motivation to win a title, James himself admitted there was a little more fuel in the tank than normal since returning to Cleveland in 2014. In last year’s Finals, when the Cavaliers tied the series at 1-1, James told reporters he had “some other motivation” that he would only talk about if the Cavs won. Of course, the Cavaliers lost that series, and James refused to talk any more about the subject. Now, having won a championship with the Cavs, LeBron finally opened up on his secret motivation to ESPN’s Dave McMenamin and Brian Windhorst after Game 7. James revealed that the motivation stemmed from some unsupportive words from people within the Miami Heat organisation. McMenamin and Windhorst note that James appears to be referring to Heat president Pat Riley, who made a reference about “smiling faces with hidden agendas” when James left the team. After his highly criticised move to Miami from Cleveland in 2010, James’ return to Cleveland in 2014 was mostly met with positive press. What seemingly got lost in the fold, however, is that members of the Heat organisation felt scored by James leaving after four straight Finals appearances. James surely still has plenty of motivation to win another title, but at the very least, he seems vindicated for his stunning move to return to the Cavs.